Luckyfinds: Proactiv Kit is your ticket to a whole new you! Proactiv Kit is your ticket to a whole new you! I have oily skin. As such, I suffered from embarrassing pimples, whiteheads, and blackheads, and pimples in my childhood, adolescence, and young adulthood. Treating acne has been my way of life. I've tried every acne solution in the market to control acne and prevent additional breakouts and scars. I have long suffered from low self-esteem like those other people living with acne. I thought that it would go away after age 35, and boy, I was wrong! Now at 41, I still have acne-prone skin, though not as extensive as they were in my teens. Good thing I found Proactiv Kit, which helps control every case of acne. It is the perfect acne solution that helped me get rid of stubborn acne and helps keep it away for good. Proactiv, the number 1 anti-acne solution, is now here in the Philippines. Formulated by Stanford-trained dermatologists Dr. Katy Rodan and Dr. Kathie Fields, Proactiv worked for millions! Proactiv does not just treat your pimples now, it gives you clear skin forever! Watch Avril Lavigne's testimony as a Proactive user and you'll be amazed at what Proactiv can do to your acne-prone skin. Avril has been endorsing Proactiv since 2010. Proactiv acne product saved her from suffering from frequent breakouts and helped her face the world with a clear and beautiful skin. Buy Proactiv Kit now and Get a Chance to Win Patron Tickets to Avril Lavigne’s Concert at Araneta! ticketing agent of the event: The Black Star Tour: Avril Lavigne. purchase will not be eligible to join the raffle on February 7, 2012. (2) raffle entries. The promo is only valid until February 05, 2012.
via email or phone call. Love to buy one and hopefully, I can also win. sayang naman. :( pero kaloka avril lavigne will be coming here in th philippines.. that rocks!! I've heard so much about this product because I've had friends who used to have acne problems but after using Proactiv, they immediately saw the results. I guess I'm just lucky for having good genes. 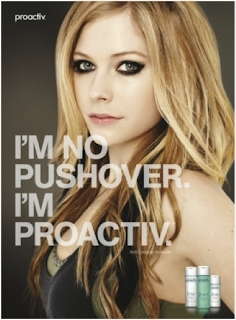 Anyway, glad to know Proactiv users does have a chance to watch Avril Lavigne's concert here. Good luck to everyone! I was never a pimple-freak, but from what I've seen and read Proactiv seems a reliable brand esp. for stubborn acne-prone skins. Great product plus great endorser... Proactiv rocks!